This one kind of fell into our laps, but hoorah. At next Monday's super-tremendous Big Quiz Thing (at the super-tremendous Le Poisson Rouge), we'll be giving away tickets to a special advance screening of forthcoming Hollywood dramedy (cama?) 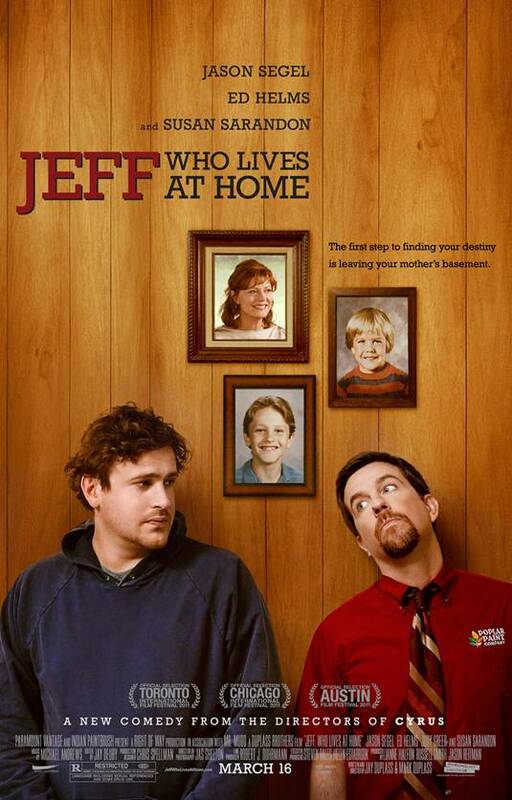 Jeff, Who Lives at Home. —I've always said there need to be more movies with a comma in the title. 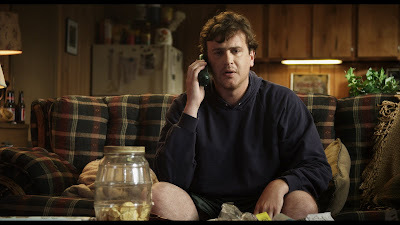 —JWLAH stars your favorite actors: Jason Segel (am I the only one who's over the moon about how the alums of Freaks and Geeks seem to have conquered Hollywood? ), Ed Helms (a former acquaintance of mine; calling him a Friend of the Quiz might be a stretch, though), Judy Greer (seen in last BQT's Character Actor Quiz video puzzle), and Susan Sarandon (Thelma & Louise really holds up, I'm glad to say). —This movie cleaned up at a bunch those super-impressive film festivals you always hear about: Toronto, Chicago, Austin. You can tell by all the stalks of wheat on the bottom of the poster. Which reminds me: How did wheat come to define quality cinema? 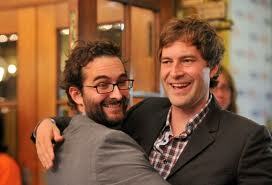 Some underhanded collusion between Big Wheat and the Indie Cinema Powers That Be? —The plot: Jeff (Nick Andopolis) is a complete loser wasting away in the basement of his Mama (Janet Weiss). Circumstances force him to leave the house to purchase some wood glue, of all things, during which he encounters his brother (Andy Bernard) and is led into some wacky and/or heartfelt adventures. Stories like this are all about the details, of course, but the indications are good. —It's rated R "for language including sexual references and some drug use." Just like the Big Quiz Thing. —JWLAH is directed and written by Jay and Mark Duplass, the indie-cinema brother team that rode the quirked-out mumblecore wave into the big time, sort of a Coen brothers of modern ennui (a compliment). I've seen a couple of their early films (The Puffy Chair and Baghead), which displayed an endearingly honest, ad-libby aesthetic. Now they have access to A-list actors (well, maybe only B for now) and production values, but they're apparently not letting it crimp their style; as I said above, the story hinges on wood glue. —We'll also be showing the trailer between rounds of the game. No movie ticket necessary! —This is merely one small part of the prize haul that night. Yep, Geek Treats is again on board, plus the usual array of wacky books and DVDs. Not to be forgotten: the $300 cash jackpot. 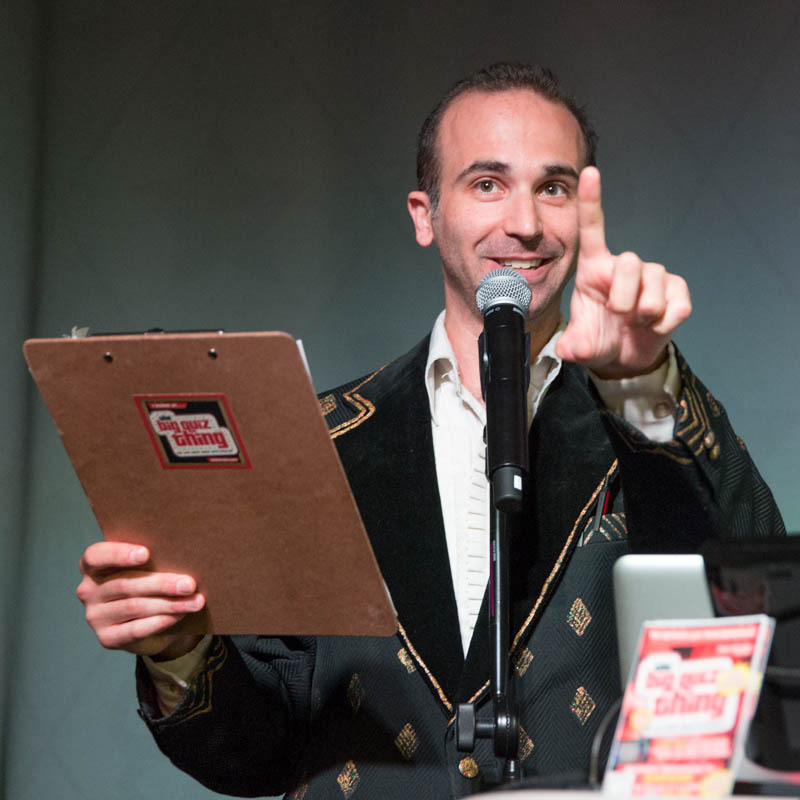 Plus, two hours of the best quiz entertainment anywhere. You know you're gonna be there. 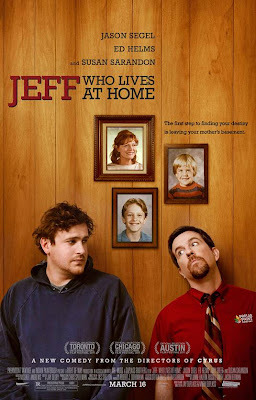 Jeff, Who Lives at Home opens March 16. See it someplace other than Times Square; those crowds just don't shut up. It's surprising you are not more popular given that you certainly possess the gift.